REUTERS: The massive U.S. budget deficit is the gravest threat facing the economy, topping high unemployment and the risk of inflation or deflation, according to a survey of forecasters released on Monday. The National Association for Business Economics said its 47-member panel of forecasters increased its estimate for the 2011 federal deficit to $1.4 trillion from $1.1 trillion in its previous survey in November. 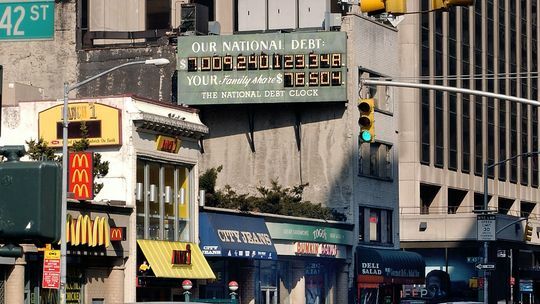 "Panelists continue to characterize excessive federal indebtedness as their single greatest concern," with state and local government debt the second-biggest worry, the survey said. It was conducted between January 25 and February 9. The panel's deficit forecast is lower than the Obama administration projection of a record $1.65 trillion this fiscal year, or 10.9 percent of U.S. gross domestic product. REUTERS DEUTSCHLAND: Dubai - Der weltgrößte Ölexporteur Saudi-Arabien ist Kreisen zufolge für die Öl-Lieferausfälle aus Libyen eingesprungen. Britain's economy shrank by 0.6% in the final quarter of last year, a sharper fall than previously thought. The surprise downward revision, from a 0.5% drop reported last month, was blamed on industry and service sector firms whose performance was worse than originally estimated. Consumer spending also slipped and the economy was kept afloat by higher government spending, which will see sharp cuts in coming months. The Office for National Statistics stuck to its view that the harsh winter weather in December – the coldest December on record – contributed 0.5 percentage points to the decline, so without the snow GDP would still have shown a slight fall. THE DAILY TELEGRAPH: The fate of the global recovery rests on events in Riyadh, says Jeremy Warner. Be careful what you wish for. After an ambiguous start, Western leaders have broadly welcomed the wave of protest and revolutions sweeping North Africa and parts of the Middle East. But beneath the words of encouragement about people taking charge of their own destiny, there is a growing and vital concern – the security of our oil and gas supplies. The West’s complicity in supporting the autocratic regimes that characterise many of the big oil-exporting nations is in part explained by the fact that, whatever their sins, they did at least seem to provide stability in the energy markets. That stability, however, has been thrown up in the air by the wave of protest sweeping the region. Initially, it was assumed that there was a difference between oil-poor Arab nations such as Tunisia and Egypt, where the uprisings have been as much about living standards as anything else, and the much richer Gulf states. That theory was swiftly proved wrong. THE WALL STREET JOURNAL: RIYADH—Saudi Arabia's King Abdullah returned to the kingdom Wednesday after a three-month absence for medical treatment and introduced a number of nonpolitical reforms amid regional uprisings that have toppled regimes in Tunisia and Egypt and infected neighboring Bahrain. The social and economic overhaul, estimated to cost around 135 billion Saudi riyals ($36 billion), include housing support, funding to offset inflation and guarantee of payment for students overseas, according to a series of royal decrees published on the official Saudi Press Agency, or SPA. They come as political upheaval continues to sweep the Arab world. REUTERS: Oil prices charged to a fresh 2-1/2 year high on Monday as traders eyed increasing violence in major producer Libya, feeding fears about rising inflation and restraining gains in equities. Global stocks were slightly higher with emerging markets down and European shares flat. 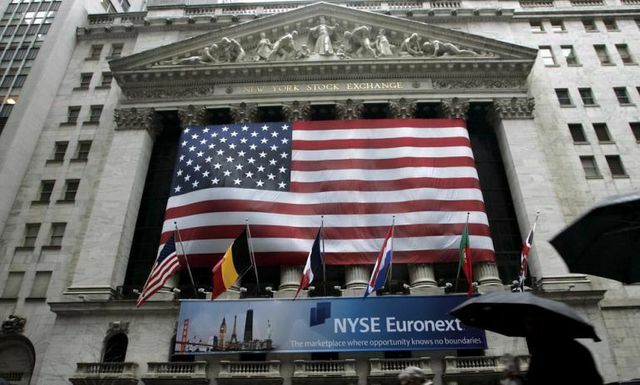 U.S. markets were closed for a national holiday. Protests broke out in the Libyan capital Tripoli for the first time following days of unrest in the city of Benghazi and some army units defected to the opposition in what has become one of the bloodiest revolts to convulse the Arab world. Financial markets are particularly sensitive to the violence in Libya because it exports around 1.1 million barrels per day of crude. THE DAILY TELEGRAPH: Greedy MPs and rapacious bankers are just as dishonest as welfare fraudsters and freeloaders, says Jenny McCartney. David Cameron, at the launch of the Welfare Reform Bill last week, made a rousing plea for the restoration of our ethics. 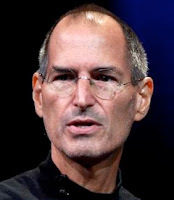 In his speech, he bemoaned the end of “a collective culture of responsibility”, of an age when people’s self-image was measured by “whether they did the decent thing”. In such an era, he said, “fiddling the system would have brought not just public outcry but private shame”. Mr Cameron was speaking with specific regard to our welfare system, and much of what he said is true. We are all familiar with those lurid tales of enterprising gentlemen who have claimed disability allowance while giving disco-dancing lessons on the side, or ladies whose complicated housing scams trawl in the annual GDP of a small Baltic country. China Using Debt to Deal with U.S.
RADAR ONLINE: Steve Jobs - who is on another medical leave of absence from Apple, the company he co-founded and manages as its longtime CEO - is receiving treatment at a cancer clinic where Hollywood star Patrick Swayze was a patient in his final days. 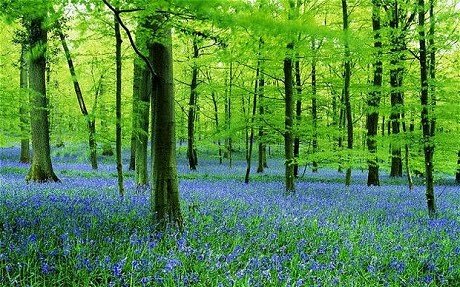 THE DAILY TELEGRAPH: David Cameron has halted plans to sell off parts of Britain's woodland. The Prime Minister surprised the House of Commons yesterday by admitting that he was not happy with the policy, which has caused outrage among countryside groups, MPs and members of the public. Mr Cameron has been shocked by the hostility to the sell-off of state-owned forestry and has admitted defeat. THE DAILY TELEGRAPH: Roman Abramovich, the Russian oligarch, has declared his assets for the first time in more than a decade, disclosing that he has 16 properties, seven cars, 22 bank accounts, six companies, and one football club. The 44-year-old businessman and owner of Chelsea Football Club made the declaration as part of a campaign to run for re-election as a local MP in Chukotka, a remote region in Russia's far east which he used to run on the Kremlin's behalf. The disclosure is part of President Dmitry Medvedev's anti-corruption drive as he pushes all politicians to declare their assets. Mr Abramovich's declaration listed seven properties in Britain, two in the United States, three in France, and four in Russia. They are known to include two houses in Lowndes Square, Belgravia, which are together estimated to be worth up to £150 million; a house in the South of France once used by Edward VIII and Wallace Simpson which he is thought to have spent £30 million; his main Moscow residence, two properties in Aspen, Colorado together worth £30 million, and a luxurious residence in the Caribbean worth £56 million. LE FIGARO: Les étrangers venant travailler au Royaume-Uni avec un salaire annuel de plus de 150.000 livres (près de 180.000 euros) seront exclus des nouveaux quotas migratoires afin de ne pas priver le pays des "meilleurs talents", a annoncé mercredi le gouvernement. ZEIT ONLINE: Die US-Schulden wachsen dramatisch. Doch Demokraten wie Republikaner schweigen über die notwendigen Sparmaßnahmen, denn 2012 wird gewählt. Sind die USA noch zu retten? Ein Drittel der laufenden Ausgaben kann das Land nur durch Aufnahme neuer Schulden decken. Die Gesamtverschuldung durchbricht gerade die Schallmauer der kompletten Wertschöpfung eines Jahres. 14.300.000.000.000 Dollar. Amiland ist abgebrannt. Es ist das neue Griechenland – nur viel schlimmer. THE DAILY TELEGRAPH: Mervyn King, the Governor of the Bank of England, has warned that inflation could remain high for the next two to three years, leading to a substantial fall in many people's real incomes. With the average worker's salary forecast to tick up by little more than 2 per cent a year, unable to match the escalating the cost of living, millions of families will feel significantly worse off, experts warned. Mr King's warning came as official data revealed that inflation, as measured by the Consumer Prices Index, climbed from 3.7 per cent in December last year to 4 per cent in January, the highest level for over two years. The surging price of oil, petrol and the increase in the rate of VAT, which pushed up the price of alcohol and restaurant meals, were the main reasons for the jump. The Retail Prices Index, a measure of inflation that many believe more accurately reflects the true cost of living because it contains housing costs, increased from 4.8 per cent to 5.1 per cent. TAGES ANZEIGER: Die Deutsche Börse und die NYSE Euronext haben sich auf eine Fusion zur weltgrössten Börse geeinigt. Die Verwaltungsräte beider Unternehmen hätten den Plänen zugestimmt, teilten die Börsenbetreiber heute mit. 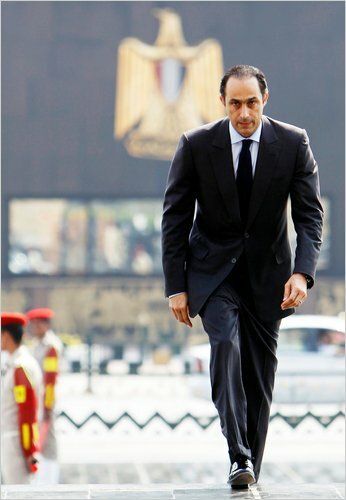 THE NEW YORK TIMES: After Hosni Mubarak’s younger son, Gamal, left his job as an executive with Bank of America in London in the mid-1990s, he joined forces with Egypt’s largest investment bank. Today he has a significant stake in a private equity company with interests throughout the Egyptian economy, from oil to agriculture to tourism, corporate records and interviews show. During President Hosni Mubarak’s nearly 30-year rule, he and his family were not flamboyant with their wealth, particularly by the standards of other leaders in the Middle East. While there is no indication that Gamal Mubarak or the bank were involved in illegal activity, his investments show how deeply the family is woven into Egypt’s economy. Now with Hosni Mubarak out of power, there are growing calls for an accounting to begin. Within hours of Mr. Mubarak’s resignation on Friday, Swiss officials ordered all banks in Switzerland to search for — and freeze — any assets of the former president, his family or close associates. In Egypt, opposition leaders vowed to press for a full investigation of Mr. Mubarak’s finances. Tracing the money is likely to be difficult because business in Egypt was largely conducted in secret among a small group connected to Mr. Mubarak. THE DAILY TELEGRAPH: Coalition tensions over bankers’ bonuses have been laid bare with the sacking of a senior Liberal Democrat who criticised a controversial deal announced by George Osborne. 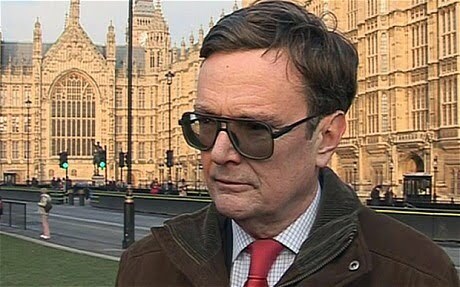 Lord Oakeshott, a close ally of Vince Cable, the Business Secretary, was last night removed from his post as the Lib Dem spokesman on Treasury issues. 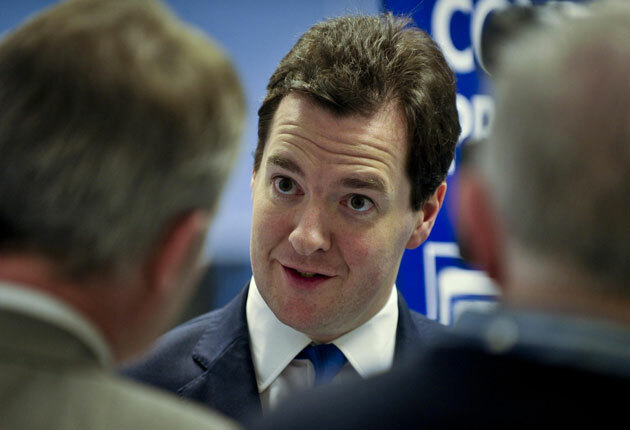 His departure from the post came after he condemned the Coalition’s agreement with the banking industry as inadequate and accused Mr Osborne’s team of “arrogance and incompetence”. Under the deal with the industry, the heads of the taxpayer-backed high-street banks will receive multi-million pound pay and bonus packages for last year. The Chancellor said it was time to move from “retribution to recovery” and agreed to water down laws which would have identified multi-million pound bank traders. THE DAILY TELEGRAPH: AOL, the online company, is buying [The] Huffington Post, the internet newspaper, in a $315m (£196m) deal that represents a big bet on the future of online news. The acquisition, which will put [The] Huffington Post co-founder Arianna Huffington in charge of all AOL content, brings AOL an additional 25m unique visitors a month. That could help AOL begin to turn around its display advertising business, which has struggled to grow as the company tries to turn itself into a content provider and moves farther away from its roots providing dial-up Internet. The deal "will create a next-generation American media company with global reach that combines content, community, and social experiences for consumers," Tim Armstrong, the AOL chief executive, said in a statement announcing the deal on Monday. Founded in 2005, [The] Huffington Post is owned by Arianna Huffington, Kenneth Lerer and a group of other investors. AOL will pay $300m of the purchase price in cash. 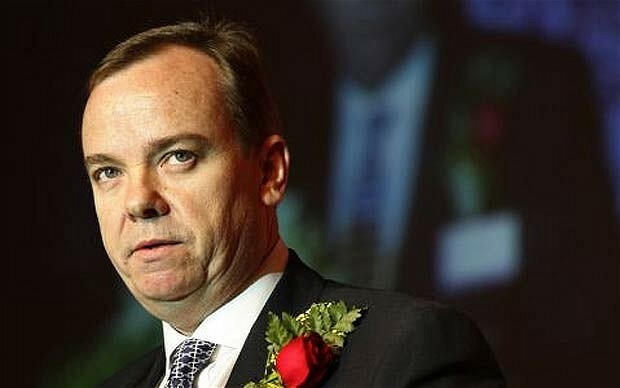 THE SUNDAY TELEGRAPH: Stuart Gulliver, the new chief executive of HSBC, is expected to accept a bonus of as much as £9m later this month in reward for his stewardship of the bank's investment arm. Mr Gulliver, who took over from Mike Geoghegan at the turn of the year, is set to be awarded the windfall as part of an overall compensation package which could take the total amount he receives for 2010 to in excess of £10m. Although the bank's remuneration committee, chaired by HSBC's deputy chairman, John Thornton, has not yet finalised any executive bonuses, City sources with knowledge of the situation believe that a bonus of £9m is highly possible. If so, it would mirror the amount Mr Gulliver received for 2009, and would be in line with the amount his counterpart at Barclays, Bob Diamond, is set to be paid. THE INDEPENDENT ON SUNDAY: Britain’s bankers are celebrating bumper bonuses. Whatever happened to the Government’s pledge to tackle them? After umpteen calls for restraint by ministers, weighing the public relations impact, and consulting colleagues and advisers, Barclays chief executive Bob Diamond has made his most difficult decision. The multi-millionaire is set to accept a £9m bonus, one of the largest in the world, and will be followed by the bosses of the other major banks. This shows that they are all in something together, even if it's not what the rest of us are in. Mr Diamond canvassed close City friends before deciding to take the bumper bonus which he fears will reignite the row over bankers pay. Sources close to him said: "Bob's been in a real dilemma as he can't stand this country's culture of banker-bashing and finds our attitude to bonuses extraordinary. But he is also aware of public opinion, so sounded out people about whether he should turn down his bonus again for the third year, take less or give some to charity." Despite rising public anger about the scale of City payouts, David Cameron insisted last night that he was not interested in "headlines satisfying people today and tomorrow that I've given the banks a good kick in the pants. Can we do more on bonuses, particularly on those banks we own? Yes we can, and yes we will," he told The Sunday Telegraph. "But look, we've just been talking about growth. I don't believe actually in the long run, you can deliver the enterprise-growth agenda while having a running war with the British banking industry at the same time." THE NEW YORK TIMES: BAUTA, Cuba — Marisela Álvarez spends much of the day bent over a single electric burner in her small outdoor kitchen. Her knees are killing her. Her red hair smells of cooking oil. She hasn’t felt this fortunate in years. 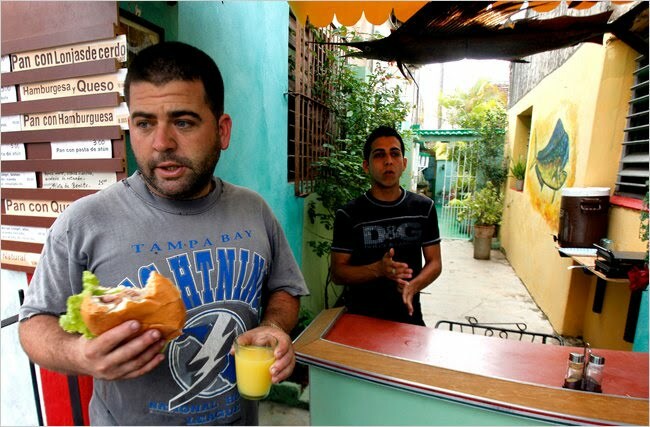 Eagerly, warily, Cubans are taking up the government’s offer to work for themselves, selling coffee in their front yards, renting out houses, making rattan furniture and hawking everything from bootleg DVDs to Silly Bandz and homemade wine. The Cuban labor federation said the government would lay off half a million of about 4.3 million state workers by March and issue hundreds of thousands of new licenses to people wanting to join Cuba’s tiny private sector, in what could be the biggest remodeling of the state-run economy since Fidel Castro nationalized all enterprise in 1968. The industrial city of Abu Rawash sits in the desert beyond the pyramids. You reach it down a dusty road that seems to lead to nowhere. Then the factories and warehouses begin: Toyota, Hyundai, Mazda and Jeep deserted save for a handful of security guards sitting in front of a vacant parking lot for absent staff. Outside the gates of the Toyota warehouse Ayman Ibrahim is talking to the gatekeeper. 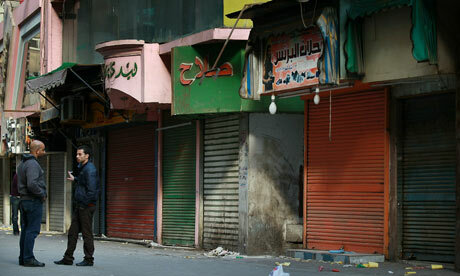 The factories are closed, the man tells Ibrahim, who owns a window business on the same site. They won't reopen until at least mid-week. Perhaps even Friday. No one really knows.